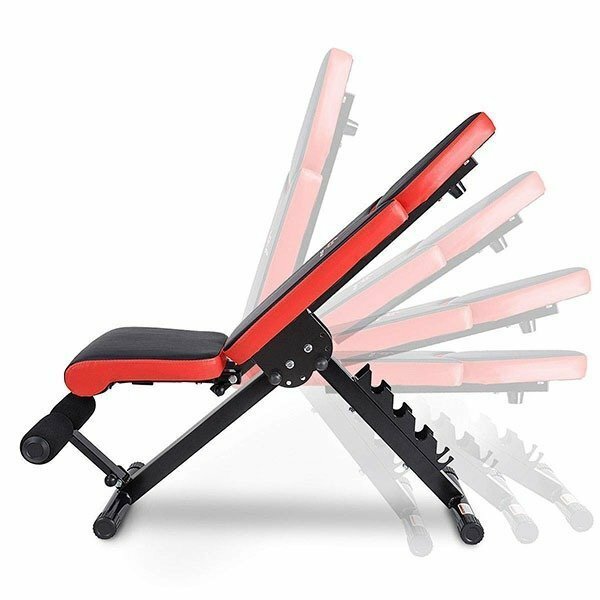 Goplus Adjustable Weight Bench – Is It Worth Your Money? Since my review of the Goplus power rack, I felt like there is not enough love for Goplus fitness equipment brand. So I decided to take a closer look at something else from their portfolio, the Goplus Adjustable Weight Bench. 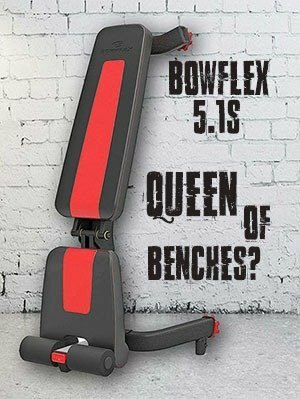 Before we dive into the features and pros and cons, I was excited to find that Goplus produces 4 different versions of the adjustable weight benches and the only difference is the weight capacity. 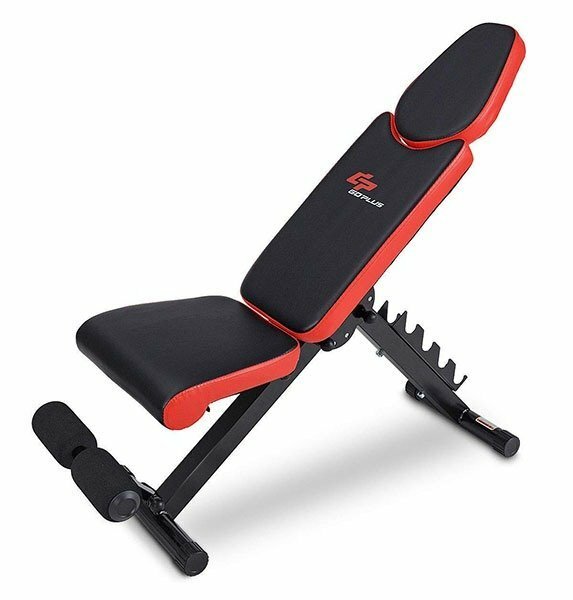 Except for the weight support, the benches are practically the same, but for the sake of this review, I will focus on the Goplus GP36441 (265 lbs support) adjustable weight bench. The bench is made of commercial heavy-duty quality steel and Goplus guarantees that it will withstand a total weight of 265 lbs (120.2 kg). Due to the commercial quality, it can be used in a public gym as well. Unlike most of the weight benches, this one is made of three pads, rather than two. The sit-pad, back-pad and head-pad and thanks to the ergonomic design, you will feel both safe and comfortable. The leather pads of Goplus adjustable weight bench are filled with a dense foam padding, for extra comfort. At the front bottom of the bench you can find ankle foam rollers for extra ankle support and security. It is also foldable for an easy storage. Since we already mentioned the bench is adjustable, you can set a flat, declined and inclined positions. The dimensions are 44” L x 15” W x 22’’-39” H (111.7 x 38.1 x 55.88 – 99 cm). The weight of the bench is 31 lbs (14.06 kg). First thing I would like to start with is the assembly of Goplus adjustable weight bench. With the provided manual it was very easy and doable under 30 minutes, by one person. The construction is indeed sturdy and I’m confident, that it will hold the mentioned weight. Due to its fold-ability and size it can be easily stored or moved around. All three pads are very comfortable, although I found them a bit soft. This might be a plus for some, but personally, I prefer firmer back-pad and sit-pad. The inclined and declined positions do their job well and they fit tightly. You can do all kinds of exercise with these settings, for example flies, crunches, reverse crunches, bench pressing, shoulder and back exercises, etc. The ankle foam roller is very comfortable and secures your ankles nicely. Personally I prefer this kind of foam over firm padding for ankles, but that’s just a personal opinion. Maybe I’ve just grown soft. If you do not mind a bit softer pads, then I’d definitely go for the bench. It is a bit smaller than most of the competition, so don’t forget to check dimensions before ordering. A big plus is the 3-pad ergonomic design, not many benches like this on the market. So if you can, then give Goplus adjustable weight bench a go and I’m positive that you will be happy with the purchase.